Are You Looking For Special Birthday Poems? Special Birthday Poems bring friends and family joy and laughter on their special day. Please enjoy these "Free" and "Original" poems that sometimes "Rhyme"
What's So Special About Our Poems? Glad you asked. We take pride in being a one stop destination for the best free verses, and ditties for birthday greetings. Insist on the best birthday poetry this year. Your friends and relatives are special to you, show how much you care by paying special attention to the words in your greeting. I have experienced the joy of sharing birthday poems many times. Over the years I realized these simple gestures of kindness are truly appreciated. It seems it's always someone’s birthday just around the corner. Try adding one of these poems to the next birthday card. Not only will you stand out from the crowd. But you will bring more value to the celebration. Special Birthday Poems has everything you'll need to create the most memorable birthday greeting for your friend or relative this year. Cards and gifts are fleeting, but the memories of those special verses will stay with your loved one forever. Here you will find poems for everyone. Including your family, friends and significant others. Some are funny, while others are inspirational and romantic. 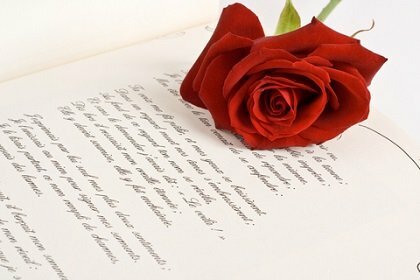 No matter who you are sending a greeting to, you'll find the perfect poem that will put exactly what you are feeling into words. From the bottom of my heart, I hope these poems enhance your relationships while adding value and happiness to you and the people in your life. Enjoy, and hope you find what you're looking for. We have some wonderful and meaningful poems on our site. I like every one of them and of course have many personal favorites. I thought you might want to visit just a few of them with me right now. The first is named "Birthday Flowers". This poem was written with real love in mind. It was written from my feelings and given to the women I love using the beauty of natures flowers. For you my dear. How about a special thought for Mom. She is always about "Unconditional Love". It’s never too late to let your mother know that you care enough to put the meaning in your own words. Another favorite poem is named a "Special Love". Feel free to use all or part for your special love on their next birthday. Instead of a greeting card, make it a meaning card. Are you tired of trawling through websites filled with the same old poems? Many of these poems have been submitted by visitors to our site. I think they are absolutely wonderful! See for yourself. Maybe you will share your poems with us as well. Enjoy and have fun! Poems do not have to be a certain length. It's all up to you and depends on your style. We just want to encourage you. By reading all of these submitted poems, I've realized how unique we all are, and how our messages vary. Depending on our personality, experiences and situation in life, our poems represent who we are. We have several hundred poems available to read. To view a complete list of all our poem categories, please review the Site Map area. As we mentioned, all of our poems are Free! However, we do have a few limitations as to specific type of use, so we can continue with this practice. Please follow this link to Copyright Information for the relevant details.